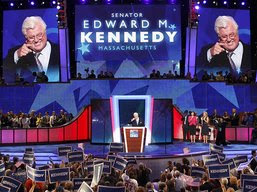 When Ted Kennedy made his dramatic appearance before the Democratic National Convention delegates Monday night, the ovation he received was more than a personal tribute. It was a celebration of almost half a century of his history at these gatherings. Going back to 1960, he has been a vivid presence at these conclaves, just as he was Monday night when the party long dominated by the Kennedy clan paid tribute to the elder statesman now stricken with brain cancer. 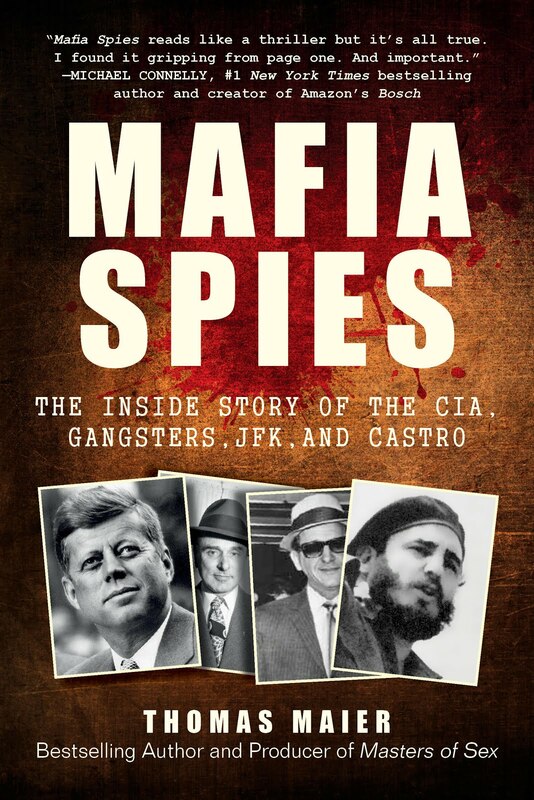 Only twice has he missed a convention -- in 1964, when he was recovering from injuries suffered in a plane crash, and four years later, after Robert F. Kennedy's assassination -- and both times the Kennedy family was a subtext to what went on. Among the featured performers at the Democratic National Convention, the unexpected address by Sen. Edward M. Kennedy was the best I saw and heard. And the long, programmed keynote speech of Mark Warner ranked worst. What Kennedy said wasn't as striking as the fact, and the way, he said it. 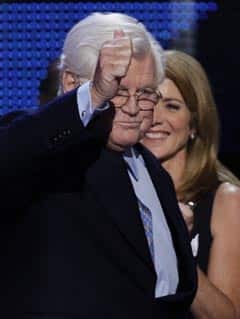 Stricken with brain cancer, not long past chemotherapy and radiation treatments that had taken their toll on him, the 76-year-old senator from Massachusetts was to have been honored with a speech by his niece, Caroline Kennedy, and a taped tribute. Instead, he came from Hyannisport, Mass., to Denver, and took the stage. He said nothing could have kept him away. Kennedy went from the airport to a hospital to be checked by his doctors, and one night later, on Monday, he was at the convention microphone. His presence on stage was striking, a remarkable act of will. His seven-minute speech was more so. He delivered it in a firm, unwavering voice. He waved at the crowds like the Kennedy of old. It was, in all probability, his last turn at a national convention. It was a star turn. Senator Edward M. Kennedy is proof that F. Scott Fitzgerald was wrong when he declared that there are no second acts in American life. Mr. Kennedy — who is struggling against cancer and whose career was celebrated at the Democratic convention Monday night — has had so many acts that we’ve lost count. He was the baddest of the Capitol’s bad boys who had the nerve to run against a sitting Democrat, President Jimmy Carter, in 1980. Now he is the principled voice of a fading generation...What seems especially important right now is Mr. Kennedy’s ability to concede defeat gracefully and rearm himself for another good fight. That is a strength we hope Senator Hillary Rodham Clinton can emulate. Whatever else happens during the Democratic National Convention, the surprise appearance of cancer-stricken Sen. Edward M. Kennedy on opening night Monday came as close to a national moment of shared emotion as we're likely to see this week. For Americans of a certain age, many Republicans included, here was the last of the Kennedy brothers making what may have been his last appearance on the grand stage of this country's politics. His speech, delivered with a strength that belied his halting steps to the lectern, drew from a reservoir of memory and feeling that only he could have tapped, one that members of the World War II generation and their children carry with them. At 76 and fighting a brain tumor, having long outlived three brothers who died before their time, Kennedy recalled the rhetoric of new beginnings and challenges that his brothers Jack and Bobby sounded in the 1960s. 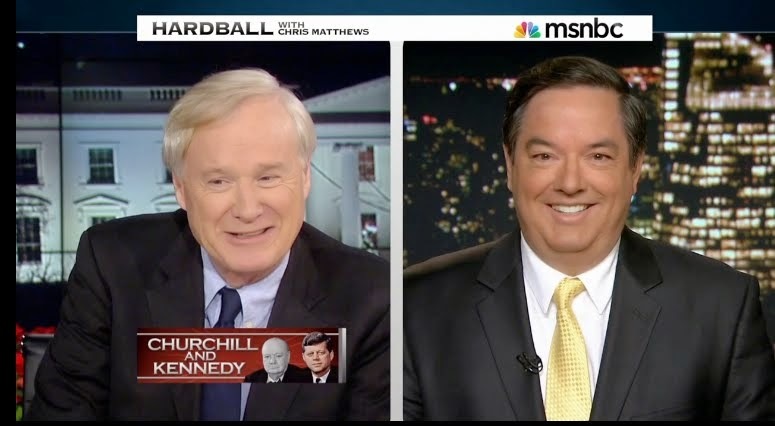 In many of the same lofty words, the youngest Kennedy sibling tried to bridge the long span of time separating the Kennedys of that era and the Democrats' man of the moment today.